Pokemon Go’s Christmas event is coming to an end, as Niantic gets ready to pull the plug on the festive bonuses. The Pokemon Go Christmas event ends at 9pm UK time on January 2. This gives fans a limited time to capture festive Pokemon like Delibird and Santa Hat Pikachu. 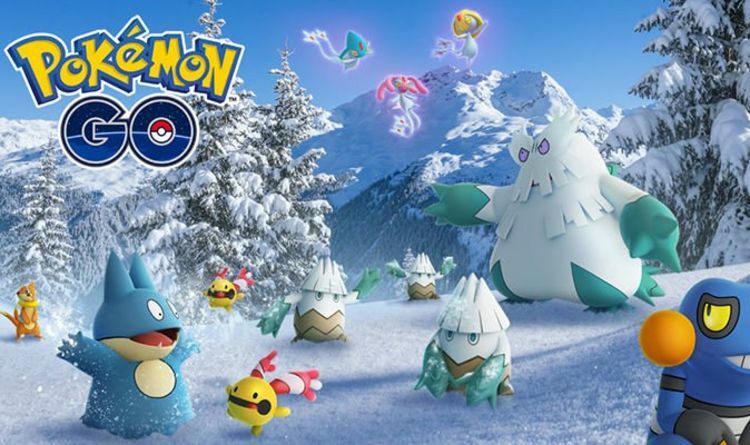 The gift-giving Pocket Monster is joined by lots of Ice-type Pokemon such as Jynx, Sneasel, Swinub, Snorunt, Spheal, and Snover. Elsewhere, Smoochum, Azurill, and Munchlax will have a greater chance of hatching from 7 km Eggs, which can be unlocked by sending and receiving gifts to friends. Trainers will also receive free single-use Incubators by spinning PokeStops until January 2. This is limited to one a day, so make sure you take advantage before the offer ends. As an added bonus, hatching distances have been halved by Niantic, but only until the end of the event. With the Christmas event about to end, Niantic has introduced new Field Research tasks and rewards for 2019. Fans who earn a Field Research Breakthrough in January will have a chance to encounter two new Legendary Pokemon. From January 1 until the end of February, Lugia and Ho-Oh will join the current list of Legendary rewards. “The year 2019 is around the corner, and it’s already looking to be legendary!” reads a Niantic tweet. Lugia and Ho-Oh join the current crop of Breakthrough Pokemon, which includes Articuno, Zapdos, Moltres, Raikou, Entei and Suicune. “All eight of these Pokemon will be available as potential Research Breakthrough encounters until the end of February,” Niantic confirms.